It drove me crazy, for instance, that since none of the rooms we were living in were really "Done" yet, we couldn't really decorate them yet. This has been the case for almost the entire time we lived here. I was ready to decorate, darn it, but we still had to replace joists and rerun wiring and probably pull down wallpaper and paint and redo all the plumbing and I JUST WANTED TO DECORATE ALREADY. So I coped with it in the usual way. I bought throw pillows. You would have done the same. 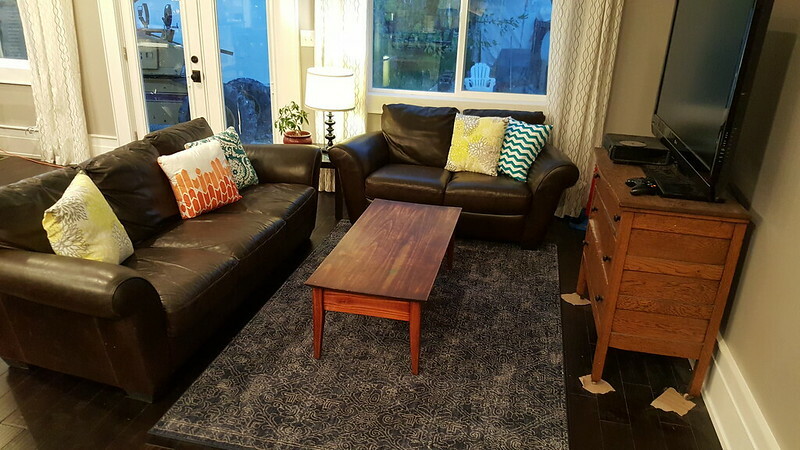 It was too soon to buy art, or furniture, or fabric for curtains, But throw pillows are timeless and go with everything and so I told myself it was ok to buy them and buy them I did. For 10 years I have been buying pillows and putting them in bags in the attic until the time arrived to finally use them. I guess you could say that the time has arrived. There is nothing stopping me now. 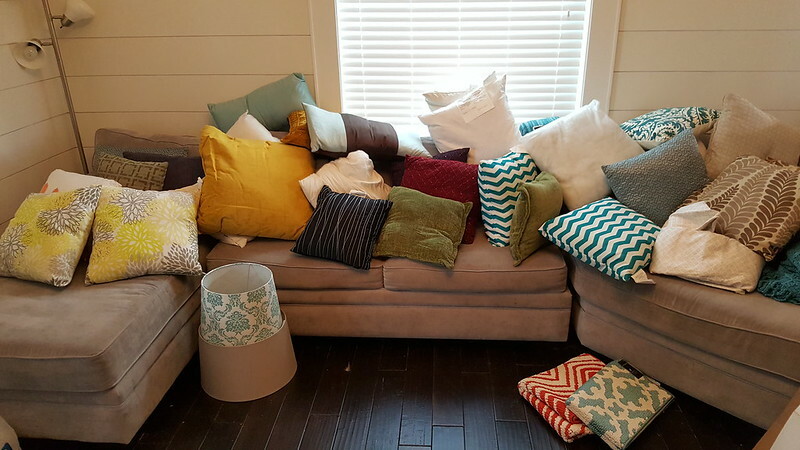 Lets pull out those throw pillows! Thats a lot of pillows. It is possible that I have more than I need. It is even more possible that I don't even like half of the these anymore. Pillow Therapy is still in its infancy. Naturally there are some kinks that will need to be worked out. But I am on the home stretch of the remodel and I am still alive and who do I have to thank for it if not the pillows? So it is ok if I give most of them away. Right? RIGHT? I saved the ones I love, and the ones I love saved me. What else matters?